Nice Wooded Lot. Lots of Redwood, Madrone and Oak trees. Close to Scotts Valley 30mins to San Jose. Easy access along paved county road. Electric at street. 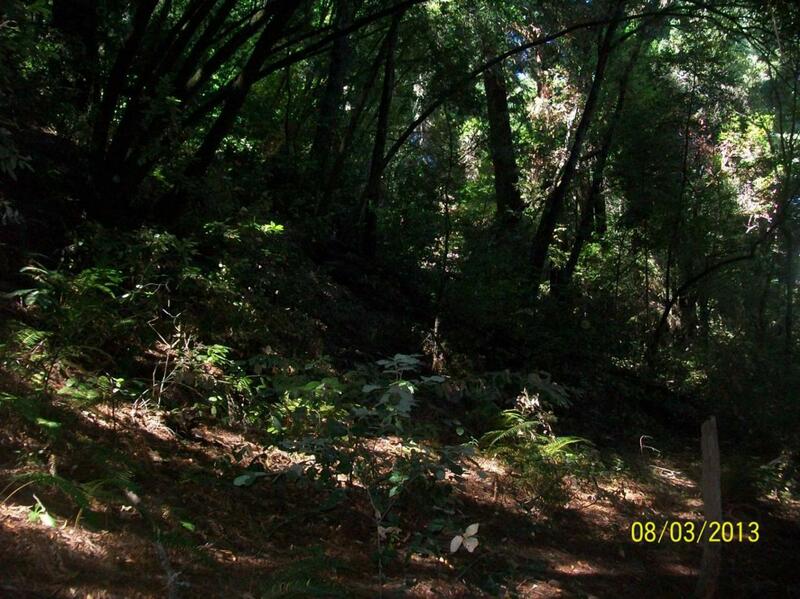 One corner of the property is near the circle of redwoods across from the entrance to Golpher Gulch Rd. The property continues along Bean Creek Rd to just a little before the neighbor's driveway. Upper property border along ridgeline. Sellers Licensed Real Estate Broker and Agent. Listing Agent related to Sellers. Listing provided courtesy of Century 21 Hometown Realty. Listing information © 2019 MetroList Services, Inc.